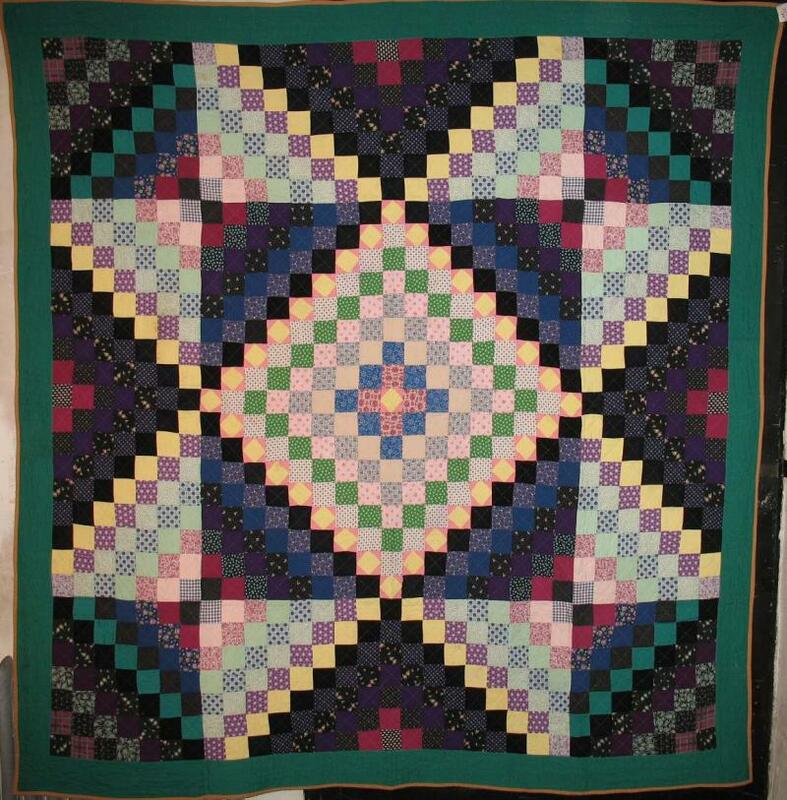 Distinctive graphic eight point star is pieced of squares, not diamonds as in other star patterns.The concept of this distinctive variation originated in the 19th century in the Lancaster County PA town of Bowmansville. A twilight palette in this example was created emphasizing blues and greens -- a change from the more familiar 19th century earthtones. A bold long distance design for admirers of modern design that appeals also to historic quilt and fabric lovers. Is a great example of a pattern tradition carried over the centuries!